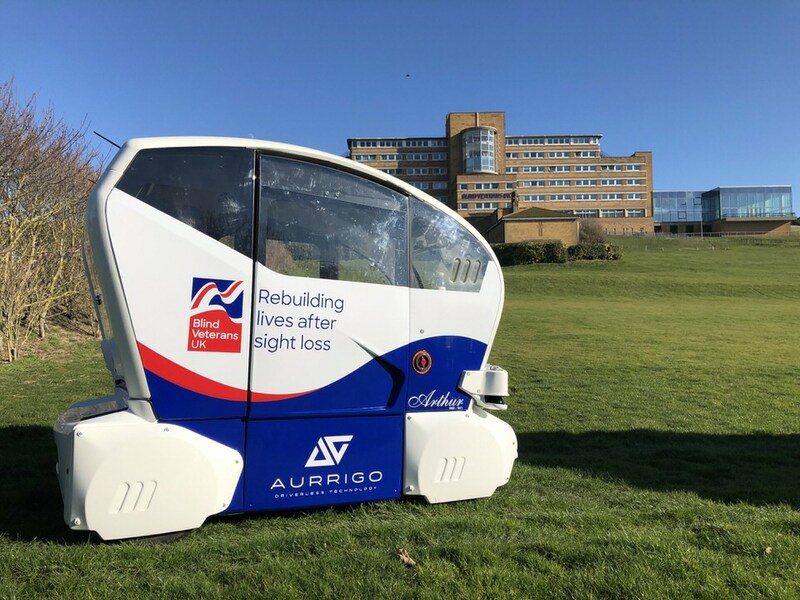 Autonomous vehicle specialist Aurrigo has joined forces with Blind Veterans UK to test-run its driverless pods designed to provide improved mobility for those with disabilities. The trial will last for six months starting in April 2019, and will take place at the Blind Veterans UK training and rehabilitation centre in Ovingdean, near Brighton. The Coventry-based company hopes to use the real-life experiences collected to improve its driverless technology going forward. The four-person pod, dubbed ‘Arthur’ after the founder of Blind Veterans UK Sir Arthur Pearson, was designed in consultation with sight loss charity, Guide Dogs to suit the needs of people who are blind or vision impaired. This trial will be the first time those with a vision impairment will be trialling the pods themselves and with the pods providing a real service, the company said in its press release. “This trial is intended to see how the pods operate in a real-life environment and how veterans interact with them. We want to know about all the good things and we also want to know about things that need to be better – this should inform the next evolution of the pod and the changes/additions we may need to incorporate into the design,” explained Miles Garner, sales and marketing director for Aurrigo. The pod travels at a maximum speed of 15mph off road and will run around the most popular parts of the training and rehabilitation centre, including the main entrance, the memorial bench, chapel and activity barn. One area the study will explore is the importance of voice activated controls. This entry was posted on Sunday, March 17th, 2019 at 7:35 pm and is filed under Uncategorized. You can follow any responses to this entry through the RSS 2.0 feed. You can leave a response, or trackback from your own site.